Finally! A solution to those frustrating stubborn - hard water spots, stains, rust and mineral deposits. 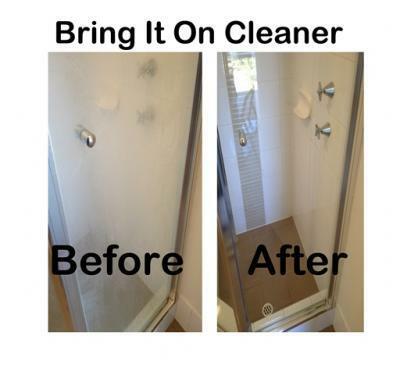 Thousands of people are enjoying sparkling clear glass windows and tile surfaces that were once hopelessly filthy. They were amazed at how easy it was to remove weeks... months... even YEARS of built-up minerals and spots.